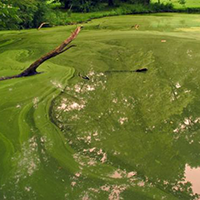 Pond Weed Control | Lake Management Inc. 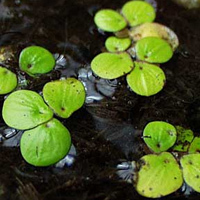 The first step in pond weed control is identifying the type(s) of invasive species growing your water. 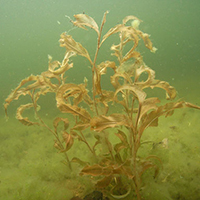 We have provided a list of common lake and pond weeds found in Minnesota. 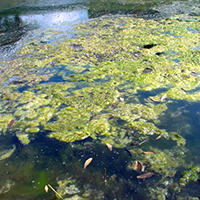 If you need help controlling pond weeds, please call 651-433-3283. 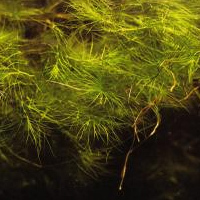 Filamentous – Algae Filamentous algae appears on the surface usually as “hair-like” and can often be thick and appear as if “bubbling”. Planktonic Algae Planktonic algae usually is visible during long, heat periods usually in later summer. It looks like someone spilled green paint in the body of water. Chara-Branched Algae Chara is an algae that is rooted and usually does not grow taller than two feet. Often looks like thick grass. Swimmers Itch Swimmers itch is common in our area from early spring to mid-July. 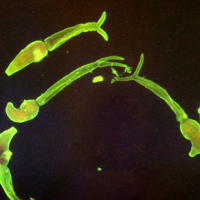 It is caused by a parasite penetrating the skin. Wild Celery Wild celery resembles ribbons and shapes growing above the surface of the water. 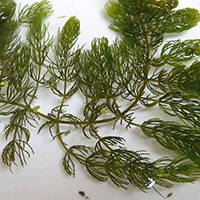 Eloeda Eloeda (Canada waterweed) is dark green in color and has a small white flower. The leaves are oval shaped. 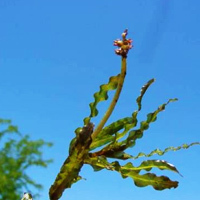 Bushy Pondweed-Naiads Bushy pondweed is purple-green in color and the stem is slender and brittle. 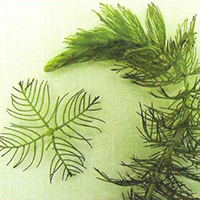 Eurasian Watermilfoil Eurasian watermilfoil is an invasive weed that mats at the surface making recreation very difficult. 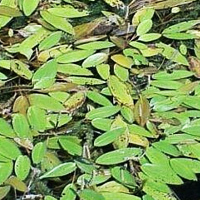 Leaves are in 3 or 4 groups. You may see red at the top of the plant. 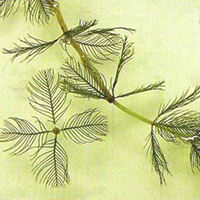 Northern Watermilfoil Northern Watermilfoil has purple brown stems and can be simple or branched. It is submerged except for its floral spike. 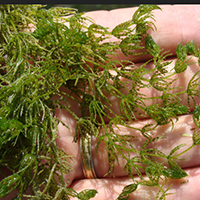 Curly-Leaf Pondweed Curlyleaf pondweed is an invasive weed with alternately arranged walloped edges. Coontail Coontail resembles the tail of a raccoon and is olive to dark green in color. 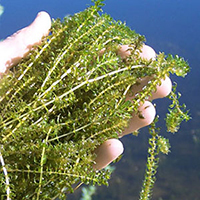 Largeleaf Pondweed Largeleaf pond weed has broad leaves and thick, large stems. Sago Pondweed Sago Pondweed’s stem is somewhat red, slender and branched. 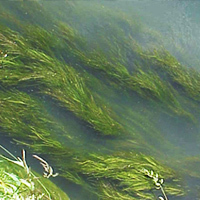 American Pondweed American Pondweed has stems that reach up to two inches. The shape elliptical and the surface is waxy. 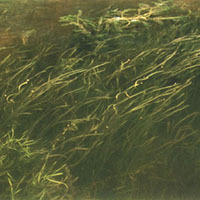 Water Stargrass Water Stargrass has long stems and has light yellow star shaped flowers. Water Hyacinth Water Hyacinth is a real problem in the Southern United States . The plants are free floating, sometimes attached in mud. Plant height in variable from a few inches to three feet. The flower can be blue, violet or white. 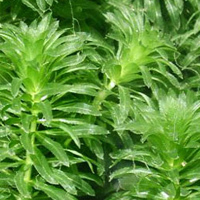 Hydrilla Hydrilla is an exotic plant that easily grows to the surface and forms dense mats. The stems are long and branched. The leaves grow in whorls of four to eight. 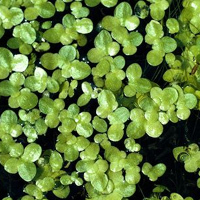 Common Duckweed Duckweed is green in color, with a round leaf the size of an eraser on a pencil and floats on the surface. Giant Duckweed Giant Duckweed has multiple roots and the underside is usually red. Typically found in ponds. 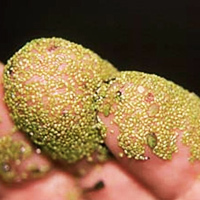 Watermeal Watermeal is similar to duckweed that much smaller – the size of the lead of a pencil and floats on the surface of bodies of water. 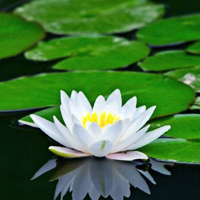 White Water Lily White water lily plants produce white flowers. 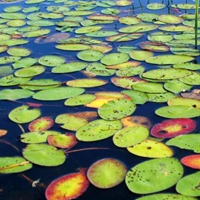 The leaves are large and circular and float on top of the water. 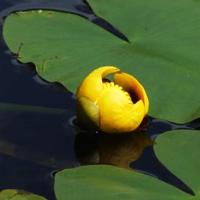 Yellow Water Lily (Spatterdock) Yellow water lilies have a yellow flower and the leaves are heart shaped. Watershield Watershield has a subtle purple flower and the leaves are two to five inches in size. 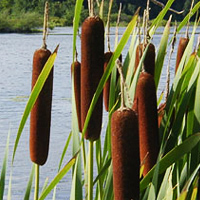 Cattail Cattails are emergent weeds that are usually found in swampy areas. 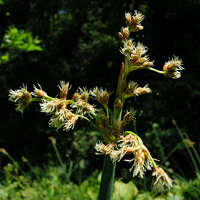 The plant is long and slender and produces a brown stalk. Bulrush Bulrush is usually found along the shoreline. 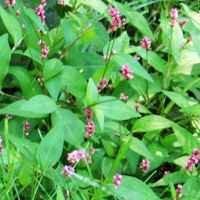 It is leafy with triangular or round stems and may have a cluster of brownish flowers and seeds at the end. 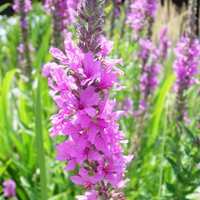 Purple Loosestrife Purple loosestrife is an invasive weed that is visible usually starting in July in many areas of Minnesota. 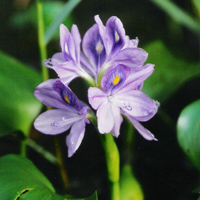 It is found in swampy areas and has a purplish color. Smartweed Smartweed flowers in midsummer with dense pink, rose, or white flowers held erect above the water. 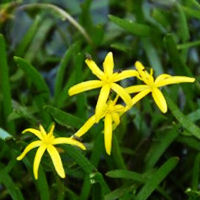 The plants may be emergent in shallow water or completely submersed with only the flowers visible above the surface. Smartweed commonly grows in shallow water along shorelines. 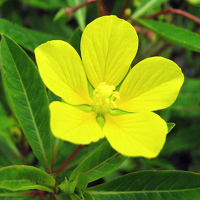 Creeping Water Primrose The plant is generally found in shallow water. Water primroses can grow to 5 to 6 feet tall. Stem is hollow, red colored with many leaves covered by minute soft hairs on both sides.